We waited all day to see it and we finally did! 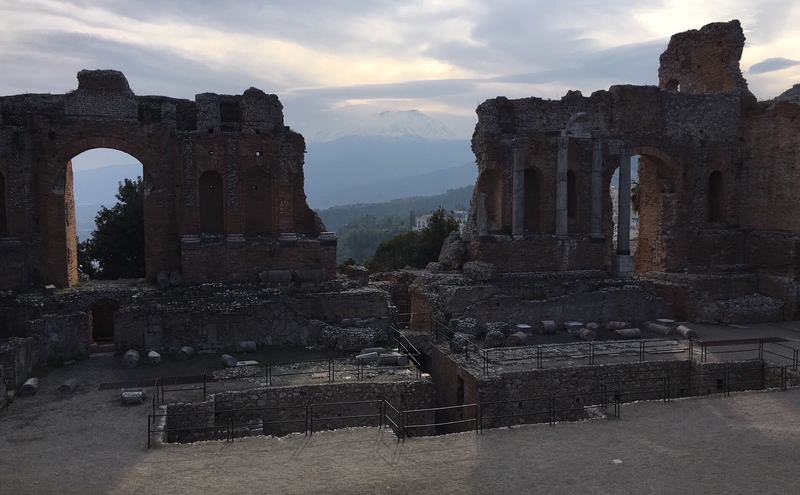 The snow capped peak of Etna is in the middle of that opening at the Ancient Greek/Roman amphitheatre of Taormina. Nous avons attendu toute la journée pour la voir et on a enfin réussi! Le somment enneigé d’Etna se trouve au milieu de l’ouverture entre les colonnes de l’amphithéâtre grec/romain de Taormina. Posted in: Architecture, Historical buildings, Italy, Postcards.